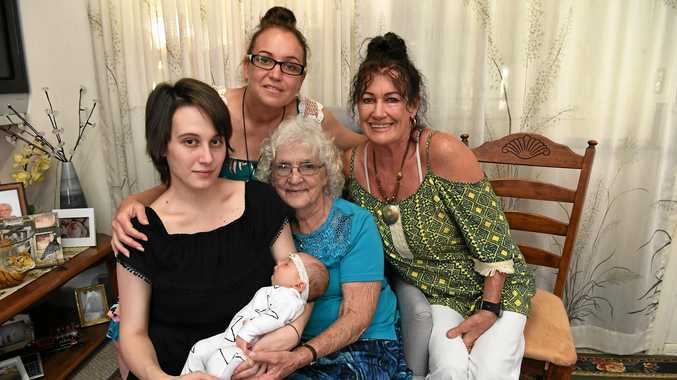 THE addition of little baby Astrid was an exciting moment for Bundaberg's newest great-great-grandmother Joy Payne and her family as the new member became generation number five. Joy (85), Di Gerard (63), Brandy Spokes (40), Pamela Tinney (21), and now Astrid Hewerdine (5 weeks) create five generations of females. "Family just means everything," a delighted Joy said yesterday. Little Astrid's mother Pamela said family was all about forgiveness. "There's a lot of forgiveness in our family, no matter what happens we always sort of stick together and forgive one another," Pamela said. "No matter how hard things get you just move forward and stay close." Joy has lived in Bundaberg for more than 60 years. She has seen family members move all over the place but they still manage to find their way home, at least for a little while. 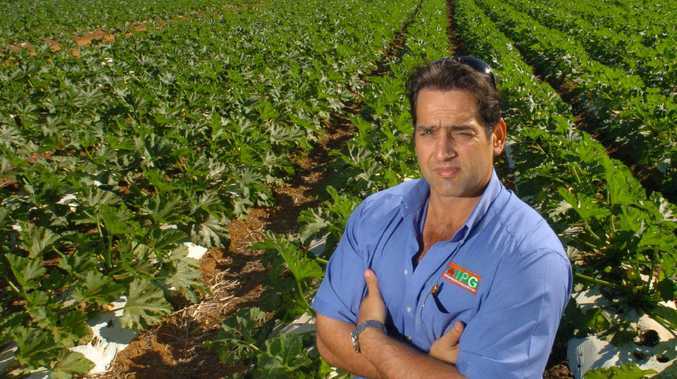 "When Di was about two years old we moved to Bundaberg and we've been here ever since," Joy said. "All the grandchildren kept coming home to be looked after, even the great-grandchildren." Joy said when they could get everyone together, they always did, but as the family continued to grow it became harder and harder to coordinate events. "There's five grandchildren and 10 great-grandchildren so there are big families ... you don't all get together in same place at one time," Joy said. Pamela fondly remembers Christmases at Joy's home when she was little. She said family was "about being there, no matter what". Di said having a big family meant someone was always there to help. "One's just gotta yell out and somebody comes," she said. "There's just all sorts of things that happen in everybody's family, but we're alright, all happy and healthy."